Home > Archive by Category "DWI"
You have been aware that driving under the influence is one of the worst things you could do, but still every now and then you succumb to the pressure and have “one more for the road”. In order to finally make yourself quit that dangerous habit of yours (yes, if it happened more than once, it is already a habit, mind you), carry on reading why exactly it is absolutely abominable to drive under the influence. First of all, face the fact that if you find yourself in the middle of a car accident, you will be pronounced guilty despite following all the traffic rules (apart from the one about not taking alcohol). Even if you’ve got the tiniest trace of liquor in your body, you will be declared as a driving hazard and the main culprit. The driver who actually caused the accident and was completely sober will have it much easier regardless of the offence. In the eyes of the law, you’ll always be the guilty one. You may think you’re perfectly able to drive because your vision isn’t blurred, but that is hardly a reliable indicator of your state. Excessive alcohol consumption affects how you estimate the distance between the vehicles, and sometimes it will be difficult to control your eye movement as well. What is more, your peripheral vision will be impaired, too. Have you ever seen an athlete compete after they’ve been drinking? Of course not. One of the reasons is that motor skills are suffering. Your eye, hand and foot coordination will not be of the desired level, so you’d better call a taxi in that case. Drinking and driving seriously messes with your good judgment. Your ability to concentrate will deteriorate, which has delayed decision making as a consequence. A similar thing happens if one is driving under the influence of cannabis. It takes longer to press the brake or to track your own speed because you’re subconsciously dilly-dallying. However, one wrong decision is all it takes for an accident to occur. If all of the above seems a bit far-fetched, as you keep convincing yourself it never happens to you, how do you feel about paying a fortune for a couple of shots? Because that’s exactly what you’ll be doing if you drive under the influence. Having worked hard to buy your ride, would you so willingly give it all up? Not to mention when you are forced to pay for the repairs of another driver. In addition, even if it’s just a minor scratch that money could’ve been spent in a much better way. You may serve your sentence and be set free. You may buy a new car or fix everything and make it look as good as new. However, how comfortable would you be living with the fact that you’re sheer irresponsibility caused death? The feeling of guilt does not disappear just because your punishment is over, nor does the pain for losing someone. By DIU you’re risking everybody’s lives. In case you’re living in a small environment, you can expect your reputation to crumble and to be constantly reminded of your crime. Essentially, that is exactly what DUI is – a serious crime. Finally, post traumatic stress is something you can expect to struggle with if you’re driving causes any kind of an incident. Hopefully, we have deterred you enough from drinking and driving. In this regard, it’s much, much better to be safe than sorry. DWI or DUI: What’s the Difference and Which One is Worse? So you’ve been pulled over and been slapped with a DWI charge. What is that? Is it worse than a DUI charge? Is there a way to determine the severity of a DWI? What if it’s worse in some states but not others? Luckily, all of these questions can be answered. If you’re interested in learning more about the differences of a DWI vs. DUI, keep reading. We’ll be able to walk you through the legal process. First things first: What are DWI and DUI charges? Most times, DUI means “driving under the influence.” Under the influence can reference drugs or alcohol. It’s used by many states in reference to alcohol though. DWI can mean a couple of different things. “Driving while impaired” or “driving while intoxicated” seems to be the common terms used for this acronym. In the state of Minnesota, as many as 25,000 drivers were charged with DWI’s in 2015. For many states, a DWI charge is an umbrella charge for those caught driving with drugs and alcohol in their systems. Since states have the ability to set their own alcohol and drug consumption laws, that means DWI and DUI charges may vary. For some states, a DUI is far more severe and could land you a long prison sentence. For other states like Minnesota, a DWI charge is the only option and you will see just as long a prison sentence. If you find yourself charged with an impairment charge, be sure to contact your lawyer to find out what may happen. Because of the varying severity between states, is there a charge that’s worse than the other? Not really. Both are severe. Both will see you charged civilly and if an accident occurred while you were driving recklessly with large amounts of drugs or liquor in your system, you could be sued for damages. Either way, driving impaired is a dangerous activity and should be curtailed. You should be prepared for a legal battle if you are caught. Many states are beginning to crack down hard on anyone operating any sort of vehicle while under the influence. This can include snowmobiles, tractors, and even buggies. If you fail a field sobriety test and a police officer arrests you, it may be time to contact a DWI lawyer. Your lawyer will walk you through the charge meanings. If your field test showed high alcohol levels or even marijuana they will help you determine the severity of your charge. It’s always important to know the differences between DWI vs. DUI. If you have been charged with drunk driving be prepared to call a lawyer for help. We’ll be able to walk you through the legal process and explain the severity of the charge. Ali Cannon is the youngest recognized Forensic Lawyer-Scientist by the Chemistry and Law Division of the American Chemical Society. She completed the three courses needed for this which are extensive and quite intense. This distinction is held in high esteem and Cannon of Cannon Law recently achieved this honor. “The ACS-CHAL Forensic Lawyer-Scientist is one who uses validated and legitimate science for the benefit of justice. These are lawyers who study the science and apply it legitimately in the courtroom. They expose invalid or non-validated science and use valid science in the courtroom. They eschew the smoke and mirrors techniques of old and embrace the science for the benefit of all.” This is according to the American Chemical Society. Axion Analytical Labs administers the three tough courses in Chicago, IL. The courses are in place to help lawyers have a better chance when defending those accused of drug-related crimes. The names of the courses are the ACS Forensic Chromatography course, the ACS Solid Drug Dose (Forensic Drug Analysis) course, and the ACS Forensic DUID (Forensic Principles of Driving Under the Influence of Drugs) course. The first course (Forensic Chromatography) teachers lawyers a theory behind chromatography while they also learn about how mass spectrometry and flame ionization detectors work. After that, they watch how the instruments work and perform their own tests. Tests such as lab work which helps them get a better grasp on how blood ethanol samples work and how they affect DWI and DUI cases. The second course which is the Forensic Drug Analysis covers how substances that have been seized like pharmaceuticals, marijuana, and other drugs are analyzed. They show how these lab tests are used in cases pertaining to possession and pre-consumed substances and how the analytics determine if there is an illicit substance involved or not. The lawyers get to run these tests and see them of their own cognizance. The third and final course is the Forensic Principles of Driving Under the Influence of Drugs. This class is centered around urine, hair, saliva, and blood analysis. The students also learn how to better understand pharmacodynamics and pharmacokinetics. What this does is teach them the effects these substances have on the human body and how it changes the function of a person’s motor skills and therefore affects driving capabilities. Cannon’s achievement will bring more firepower to the defense of the clients she represents while instilling more confidence in her own abilities. 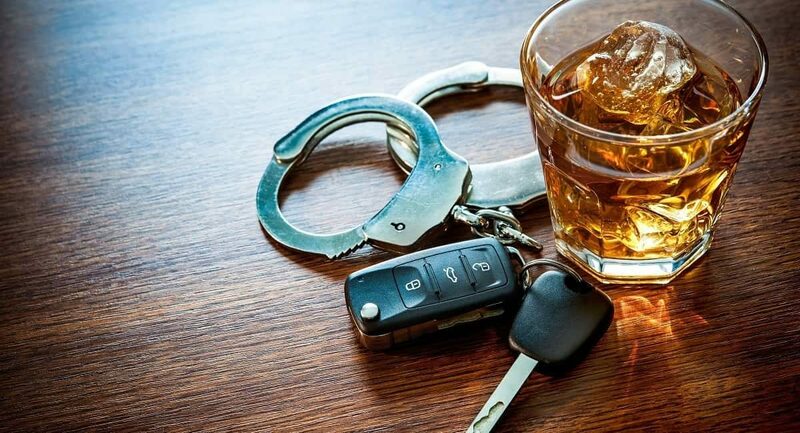 While Richmond Hill DUI lawyers can help you if you find yourself facing an impaired driving charge, the best way to keep yourself out of legal trouble is to take steps to make sure you don’t get behind the wheel of a vehicle while intoxicated in the first place. This becomes especially true if you have a previous impaired driving charge on your record, as a second or third offence means more trouble in the future. To avoid a DUI charge, consider the following tools and tips. If you find yourself in trouble with a DUI charge, one of the first things that your Kitchener DUI lawyer may ask is what the results of your breathalyzer tests at the police station were. This is because using a breathalyzer test is one of the most effective ways to determine the level of alcohol in a person’s bloodstream. With this in mind, you can help prevent a DUI before it happens by investing in a portable breathalyzer. Many outlets in both the United States and Canada offer these devices. While they are not permissible as evidence in court, they serve as a good way to judge whether you are too intoxicated to get behind the wheel of a vehicle. Without investing in new equipment and fancy technology, you can save yourself a lot of trouble by selecting a designated driver before you go out to a social event where there will be alcohol served. Most social groups who drink regularly institute a rotating system where the designated driver changes with each new event. This allows everybody to enjoy an event with alcohol while also remaining safe. If you don’t think you can get a designated driver, remember that public transportation can benefit you. In the Toronto area, public transportation is more robust than in many other parts of Canada and can thus help keep you from behind the wheel of a car if you have too much to drink. If you have multiple DUI charges, the court may require you to fit your vehicle with an ignition interlock device. This device requires the driver to blow into a mouthpiece before the vehicle can be driven. This provides an extra layer of security to make sure that nobody can drive the vehicle unless they would pass a sobriety test should they get pulled over. While you are no longer required to keep an ignition interlock device in your vehicle after you finish your court-mandated term, It isn’t always a bad idea to have one handy just in case. Some people find the device to be embarrassing, but it is a worthwhile safety measure for those who demonstrate repeated risky behavior. There are many tools available to people who ardently want to avoid getting a DUI charge. If you have faced impaired driving problems in the past, your DUI lawyer may even recommend some of these ways to keep you on the straight and narrow going forward. If you’ve been hit with a DUI, it is easy to feel like your life is over. You made a mistake. Perhaps it was a choice that you made a single time, or maybe you drive after drinking often, and this was the one time that you happened to get caught. In either case, you need to make some changes in your life, but first, you need to deal with the situation that has come to pass. But how do you find top DUI lawyers? Here are five ways that you can feel secure in making a choice. You don’t want somebody representing you in a case like this that is just out of law school. Regardless of what property damage was caused, whether anyone was injured, or any of the other details of what happened, this is a serious matter in the eyes of the law, and you need someone backing you up who knows what they are doing. If the lawyer or law office that you selected has a long history of success in cases like this, then you can feel confident about that going forward. You might also speak to friends, family members, and colleagues to see if they have any recommendations. Maybe one of them was once in a similar situation, or they know someone else who was. If you hear from a person you know that a lawyer is trustworthy, it’s got to be better than picking one at random. The reality is that not all lawyers charge the same amount, and you probably don’t have unlimited financial resources. There might be a lawyer who you feel is an excellent choice for you, but when you ask them what they’re going to charge to represent you, it’s more than you can afford. If that’s the case, you don’t have much choice but to look for someone else who is more suited to your financial situation. You should look at the website of any DUI lawyer who you are considering. That website is the way they present themselves to the world, and if it is poorly constructed, with an outdated theme, misspellings, an inappropriate font, and links that go nowhere, then you should take that as a bad sign. A lawyer should take pride in every aspect of their practice, and that includes their website. It is for the same reason that you should go to their offices and take a look around. If the building out of which they work is dirty, in a crime-ridden section of town, or if they have a tiny office and no receptionist, then you’re probably going to want to look elsewhere. Appearances matter, and if your lawyer can’t afford or doesn’t care about a nice office, they’re probably wrong for you. A DUI is not the end of your life, and it is something from which you can recover. You need a trustworthy lawyer who knows the ins and outs of the law, though. Be careful with your selection, and choose someone with whom you feel comfortable. A lot is riding on the outcome of your case. The common penalty an individual gets when he or she is convicted with traffic related crimes is either being jailed or suspension of their driving license. What next for you when any of this penalties are given? You will need a lawyer with experience to come and defend you and ensure that your penalty is reduced. For instance, if you transport goods from one place to another for a living, what will happen to you? Will your family go for days hungry until you are able to drive again? That shouldn’t be the case when you have a DWI Lawyer Nassau County by your side. DWI attorneys will help plead with the court so that you get a fair judgement. Have you ever been to a new place? Do you notice how complicated it gets to ask for directions? Now imagine hiring someone who doesn’t know what they are supposed to do when you are convicted for driving while intoxicated crimes? You need to be smart and understand that law requires someone with experience. An attorney who has handled driving while intoxicated crimes before knows how the court functions. Basically he or she knows the system. They know how to look for loopholes and also argue out evidence presented in court. Don’t forget that when you hire someone who has more knowledge about something you become more confident and also you get to trust the process. The major reason why you should always hire a DWI attorney is so that he can defend you. Defending you doesn’t mean arguing evidence alone, the attorney should also ensure that your rights aren’t violated at any given time. Whether you are guilty or not guilty, you have rights that need to be upheld until the court issues a ruling. However, your rights can’t be upheld if you don’t know how to handle yourself through the whole process. This is why you need the attorneys’ guidance. They will ensure you don’t commit any other mistake. Any attorney will tell you how important it is to respect the rule of law even when you are being convicted. Being accused of DUI can have a profound impact on your life, and not in a good way. For this reason, you should not allow yourself to give up without fighting as fervently as possible. In case you are having difficulty trying to figure out how to dig your way out from beneath this legal mess, here are several ideas that will increase your chances of having a positive outcome. When you are stopped by law enforcement officers, it is essential that they provide a valid reason for this to occur. Having a hunch is not a legal defense and it can mean the difference between walking away with your freedom and ending up on the wrong side of a jail cell. Even if you were actually inebriated during the traffic stop, the case will be tossed out if there is no testimony and compelling evidence that proves you were stopped with cause. There are some cases where officers stop and detain people more often than not. If you are driving through a high crime area and you are pulled over by the police, you should certainly mention this when you have your day in court. While it may seem logical for police to approach people more frequently when they are in areas where crime is rampant, it is a form of discrimination and your lawyer should bring this up and stress how this may have had a bearing when it comes to the DUI charges you are facing. Since many city and state laws forbid people from living in their vehicles while parked in certain places, many mistakenly believe that taking a nap in the car is illegal as well. 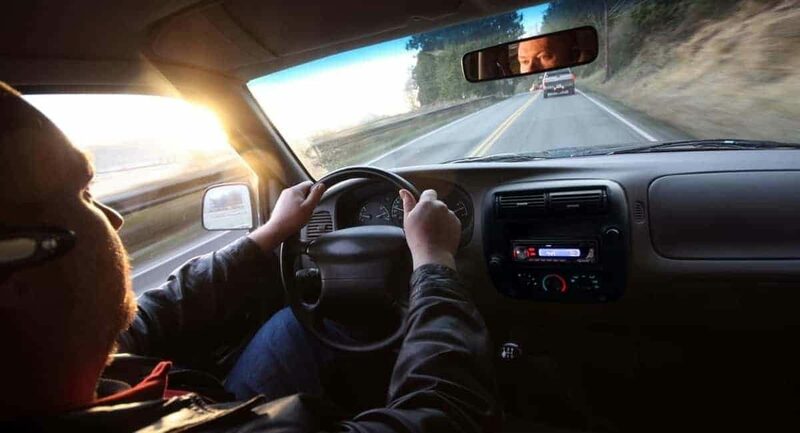 The idea of having a motorist on the road when they are not in any condition to safely operate a vehicle is troublesome, and this is why most locales allow people to pull over in a safe place and have some rest. If you were sleeping in your vehicle and you were approached by officers, there may be a chance that they were actually in the wrong. Instead of acknowledging any wrongdoing, you should have your legal representative argue about the legality of the stop in question. There is a possible chance that things were not done in the most legal manner and you case may be dismissed. If there is probable cause for a stop and you are asked to exit your vehicle, the investigation into your current state needs to be completed in a reasonable time frame. For instance, if you are pulled over and the officer decides to call in for backup and have they tested your sobriety, the wait should not be longer than necessary. It is perfectly legal for them to have you wait until additional officers are at the scene, but not if it encroaches on your rights. Be sure to verify the time of the stop and the moment when the investigation began. If it is a particularly large gap between the two, the pendulum may definitely begin to swing in your favor. There is a chance that the driver may cause danger to someone in the home. It is clear that this is the only way to prevent someone from escaping. The person in question entered the home in an attempt to destroy evidence. The suspect fled the scene and led the officers on a chase. These are the only instances when entering a home to arrest someone accused of DUI is permitted. If none of these apply to you, it is likely any evidence will be suppressed, which means the prosecution’s case will be weaker than ever. Whether you believe it or not, there are officers all over that are so involved with arresting DUI suspects that they fail to read them their Miranda rights. This may seem like a defense that only works on crime drama shows on television, but that is not the case at all. If you are arrested and interrogated and there was no mention of your rights, anything that was mentioned cannot be used as evidence against you. Even if you admitted to the arresting officers that you had many drinks and were indeed impaired, the case will be dismissed if there is proof that you were never informed of your rights. There have been numerous studies that show sleep deprivation can have similar effects on the human body as consuming large amounts of alcohol. If the only evidence the police have that you have had a drink is the fact that you seemed to be impaired when operating your vehicle, you can argue that this only occurred because you were tired from not having enough sleep. Keep in mind that it is not a good idea to risk your safety and that of others by driving when you are sleepy. With that said, it is not legal to arrest someone for this. A verbal warning is usually how this is handled. It can be unnerving and stressful to be accused of DUI. This is the case whether the person being accused is guilty or not. If you are in this unfortunate situation and you are looking for a way out of it, you should consider all you have read here. It will place you that much closer to having your case dismissed and walking away without tarnishing your criminal record and being given some type of punishment. Now, each state has its own rules to define how drunk a person must be to be qualified as “being drunk”. However, the Congress has appealed for a standard yardstick to measure how inebriated the person is. States that want to tap on a major chunk of federal funding comply with the set standard that presumes that 0.08% of alcohol in the bloodstream is “drunk enough” to drive. There are states where the permissible alcohol content in the blood has been lowered to 0.04% for commercial drivers and even less for people under the age of 21. The police often set up random checkpoints on the highway or other frequented routes and stop every vehicle or any car at random for a drunk driving test. A prior complaint by any other driver or any evidence of inebriated behavior adds on to the suspicion and may result in you having to pull over. According to the The National Highway Traffic Safety Administration (NHTSA), “turning with a wide radius, straddling the painted lines on the roadway, weaving, appearing to be drunk, striking or almost striking another vehicle, swerving, driving on the wrong side of the road and, braking erratically”, all fall under suspicious behaviour. The field sobriety test usually involves the police officer asking the drunk driver to perform some tasks to check its brain-to-limb coordination. Some of the tests to check the cognitive abilities of a person would be to ask him to walk on a straight line or recite the alphabets backward. The police can even conduct a chemical test using a Breathalyzer to measure the drivers BAC or Blood-Alcohol concentration levels. Normally, the driver cannot refuse to give in a sample of his blood or urine to conduct chemical examinations. Failure to cooperate with the authorities may result in penalties or suspension of the license. The Driving Under Influence (DUI) and Driving While Intoxicated (DWI) are two offenses registered by law which govern the drunk driving cases. All states have DUI laws which are further divided into two sections- the zero tolerance laws and the per se laws. The zero tolerance laws are for underage drivers. The legal age for drinking in the states is 21, people under the age of 21 if found behind the steering wheel with the lowest trace of alcohol in their bloodstream (even 0.01%) are liable for questioning and a penalty. The per se intoxication laws pertain to all adult drivers who have a BAC of 0.08% or more. The police can convict the driver even without medical proof in case of a “per se intoxication” if there is other evidence to prove his intoxicated state. Most criminal penalties include paying a fee, jail time, probation or community service. People who have a history of DUI violations and reckless road behavior are more likely to get convicted. And if rash driving leads to loss of property or life, then the sentence is even more severe. Once there is enough evidence to convict a driver for rash road behavior, then the police are free to check up on his track record and conduct a detailed investigation to dig up more details. And getting convicted under the DUI laws have an immediate impact on your driving privileges. Your license will be canceled, your vehicle confiscated, and, in some cases, you might even have to serve jail time. If you have a clean track record, chances are the laws might not be as harsh upon you. A regular offender will have to pay the fee and get an ignition interlock system installed in their car at their own expense which could be used to monitor his activities on road. If you are convicted of drunk driving, the best way out would be to just cooperate with the officers. You can demand a lawyer and legal representation in court, but the district attorney offices are usually unwilling to negotiate for plea bargains especially if it’s a serious violation. You can contact a DUI lawyer to get actionable legal advice. They say everything is bigger in Texas and when it comes to a DWI that saying is also true. Police, judges, and prosecutors take DWI offenses extremely serious and the fines and penalties are some of the biggest in the country, even if it’s your first offense. It’s the holidays and the DWI rates always climb during this time of year just ask Alli Cannon. If you’ve never had a DWI in Texas and are curious of what fines and penalties you’ll be looking at if you were to make the mistake of getting pulled over while being intoxicated here’s what you should know. When your BAC (Blood Alcohol Concentration) is above .08 you are over the legal limit and will be arrested for a DWI. It’s a Class B Misdemeanor for a first DWI offense in the state of Texas. If convicted you’ll face fines up to $2,000 and up to 180 days in jail. This is for typical DWI cases as there are many factors that go into the judge’s sentence and almost every situation is different. However, your case can become much more nuanced and complicated if it involves certain other factors such as have a BAC above .15. In this case, you may be subject to a Class A Misdemeanor. You will also face fines up to $4,000 and 1 year in jail. Another thing is you may have to have an ignition interlock device installed in your car. The ignition interlock prevents your car from starting if you have any amount of alcohol on your breath. If you get arrested for DWI in Texas with a passenger under 15 years old you are facing even more serious penalties. In this case, you will be charged with a felony. The fines for this one can go up to $10,000 and you could face 180 days to two years in jail. If someone happens to die when you are drunk behind the wheel and involved in an accident, it is a second-degree felony (Intoxication Manslaughter). You will face 2 to 10 years in state prison and fines up to $10,000. Not to mention you will feel awful for the rest of your life. Remember the holidays are supposed to be a festive and happy time of year, so you don’t want to make a mistake you may regret for a long time and ruin what should be a special season of joy. It’s that time of year again. Everyone is going to parties eating and imbibing. This time of year the police are out in full force. Cops are waiting just to pull you over and you don’t want to get caught after drinking. A DWI is an awful experience and when it happens around the holidays it only compounds the matter. You don’t want to be the one to spend Thanksgiving in jail. Picture it. You enjoy an amazing meal with your friends and family but you had a bit too much alcohol to drink. You come to a DWI checkpoint or perhaps one of your tail lights were out and you got pulled over. You don’t want to get caught in this situation but if you do here are some things you need to know in the state of Texas or before you call a Houston DWI lawyer. Every case is different and when it comes to DWI’s in Texas there are several factors that can have an effect on your case and here are some of the things that a judge considers when sentencing you. Things such as your age. For instance, if you are under or over 21. What kind of license you possess. Have you had a DWI before? How high was your BAC (Blood Alcohol Content)? Were there any drugs involved? Did you cause or were you involved in an accident? Were there injuries or severe damage to anybody’s car? What is your race and what are the judge’s beliefs and tendencies? Is your lawyer any good? Using the factors above will determine what kind of penalties you’ll receive. Some penalties are mandated and some are discretionary pending other factors. If you are over 21 these are the fines you may receive. If you are under 21 you are really in trouble. Texas has a zero-tolerance policy when it comes to underage DWI offenders. For your first DWI offense if you are under 21 you’ll face a suspended license for 1 year. You’ll face fines up to $500 and have to attend an alcohol education program. You may also have to perform community service. Finally, you may be told you have to put an ignition interlock device on your car. You basically have to blow into a built-in breathalyzer that won’t allow you to start your car if it detects any alcohol. It will also require you to blow in it from time to time while you are driving too.